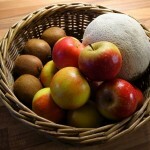 Have beautiful handmade wicker baskets and great customer service at an affordable price. Long lasting baskets that look great and fit perfectly, made in the style and willow colour * of your choice. * (white willow is now unavailable until early June 2019). We are one of the UK’s leading basketmakers, here to help with the design of your baskets. 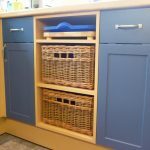 We offer a complete range of wicker baskets, including baskets for storage, kitchen baskets, large wicker baskets, log baskets, hampers and pet baskets, and our custom made service means we’ve got pretty much everything covered. Start at the Custom Made Basket Options page, if you are looking for your baskets to be custom made. It has information on the various weave, border and colour options and how to work out the correct size for a great fit. We can make any of the baskets shown on the website to different sizes or in different colours. Once you’ve seen something you like, or if you don’t see exactly what you are looking for, please get in touch and we’ll go from there. Watch the video to see how to keep your baskets clean and fresh! ‘We are pleased to report that we received the wicker baskets yesterday afternoon, and what an excellent service from one end of the country to the other ! The baskets are exactly what we were hoping for, the colour and size fully matching our expectations. The wicker baskets fit the kitchen unit and maintain the look of a traditional country kitchen. We are so pleased with the service we have received, your prompt response to our first enquiry and keeping us updated on progress has been excellent. The baskets are very well made, so many thanks to the craftsperson who made them.